A HUGE THANK YOU TO ALL WHO PLAY ALONG WITH OUR MONTHLY CHALLENGES! Congratulations, June!! Please email me to claim your prize at nicolle@creativeembellishments.com. Well another month has flown by and we are ready for another challenge. I hope everyone is having a good summer or winter depending on where you are. Our summer has been mostly work, work and more work. Not complaining ..time management is something we are trying to improve upon. Wish us luck..
Augusts challenge is to be inspired by 1 element and please let us know what it is. The twist is to use something reflective ex. acetate, glitter metal etc. Create a NEW project layout, mini album, tag, card, canvas, etc….as of August 1st, 2018. >Please add your entry to the inlinkz tool below to be eligible for the prize. You have until the last day of each month 11:55 pm eastern time to enter. > We would love to see you USE AT LEAST 1 OF CE products on your projects but it isn’t required to play along. Onto our amazing DT reveal!! Hello! Summer is in full swing and it’s a new month-AUGUST (already?!?!?!) For this challenge, I looked at the photo and the romantic in me emerged! I pictured this couple on their way to have a glass of wine at the local pub, so I created a set of Artist Trading Cards (ATCs). the will be traded throughout the USA later this year. I hope you can join us this month! thanks for stopping by! Creative Embellishments Products Used: Wine Glasses: I colored the wine in the glass w/ a Sharpie, for the stem I used Gold Liquid pearls and then coated the whole wine glass with Glossy Accents. Ivy Sprigs: I cut them to fit these small cards, used Tim Holtz Green distress paint and then sporadic “lines” of green stickles for added dimension. I created this Milestones layout for Creative Embellishments’ August challenge. I was inspired by the beautiful warm colors in the challenge photo, and I used some metallic ink for the chipboard Birdhouses for the twist. I also used the very appropriate Milestones title and Month/Weeks Tabs. August already? Sandi here with you today sharing my take on the August Challenge. When I saw the Challenge photo, I was reminded of a dear friend’s trip to Wales last year. She was excited that she captured a group of raindrops on these stairs. Because I’m giving her this as a birthday gift, I’ve used the Large Clock Face 6 inch (heat embossed) to symbolize time .. and just had to accompany that with the gorgeous Clock Hands which were stained with walnut stain. To add something wispy to my flower cluster, I used Flourish 17 which was embossed the same as the Clock Face. My background work includes lots of stamping, mostly using my very favorite Circle Bokeh Stamp. My something shiny and reflective are the sequins I’ve used. I hope that you will play along at a chance for the prize but also just to have a little creative fun! In Wyoming we have hot summers and early Falls, I wouldn’t trade it for anything. We can usually feel Fall in the air in late August and start to see a little color change. Fall is always beautiful here and the colors are always vibrant and colorful but I will miss summer and walking barefoot. The August color challenge is all the perfect colors for a beautiful Fall in Wyoming. Blue skies, rusty leaves, golden and red sunsets are why it’s so enjoyable. 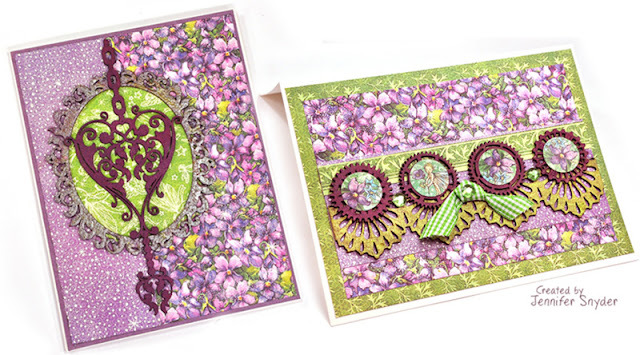 On this layout I used the word Magical from the Magical Set, Hibiscus Corner Set. I painted my pieces with metallic and opal paints in several colors and then rubbed them with a copper wax. I scattered pumice stones, beads and sequins for sparkle. around the leaves and then gave them a quick spray with spray ink. In the background I’ve added some modeling paste with a stencil. To finish it all off I added some flowers. The Creative Embellishments team would love to have you play along for a chance to win this months prize! SaveSave</spanCreative Embellishments has another great challenge this month. Very artistic and unique mood board and the twist….add something shiny, acetate, glitter, metal. The possibilities are endless. I decided to use acetate as one of my layers. I used the cracked brick stencil and crackle paste to add a little texture. And who cant go wrong with steampunk gears. I didn’t have a big enough gear so I used the Steampunk Ornament, nipped off the top and had the perfect circle. I made a video for you all, Enjoy, I hope to see some great entries.Creative Embellishments has another great challenge this month. Very artistic and unique mood board and the twist….add something shiny, acetate, glitter, metal. The possibilities are endless. I decided to use acetate as one of my layers. I used the cracked brick stencil and crackle paste to add a little texture. And who cant go wrong with steampunk gears. I didn’t have a big enough gear so I used the Steampunk Ornament, nipped off the top and had the perfect circle. I made a video for you all, Enjoy, I hope to see some great entries. My eye was immediately drawn to the glow around the lanterns and the beautiful color palette of the night sky in the inspiration photo. My brain is about 90% song lyrics. I think these Nirvana lyrics pair nicely with the light theme I chose. I built this piece on a wood plaque, which is one of my favorite bases for mixed media projects. I primed the wood with a coat of black gesso and then added Afraid of the Dark Glimmer Mist. I used the Distressed Circle Stamp with black embossing powder to add some glossy texture to the base. I applied Pearl Texture Luxe over portions of the Galaxy Stencil to add some stars to the night sky. I loved the brush stroke application of paint in the inspiration piece. To get a thicker paint that I could apply with a spatula, I mixed acrylic color with molding paste. While the base was drying, I painted an Industrial Hanging Light Bulb with metallic silver paint. I glued a piece of plastic packaging to the back of the light bulb and applied Liquid Glass to the inside of the bulb for a more realistic finish. I attached the light bulb to the plaque with adhesive foam to help make it look like it was hanging in the air. I used a label maker to stamp out the song lyrics, which I attached to this textured plaque with Extreme Double-Sided Tape. Finally, I brushed on a layer of Distress Rock Candy Stickles for a sparkly finish. I hope I have inspired you this month. I’m looking forward to seeing your creations! Hi everyone and Happy August! …New challenge fun with one of the Large Tags chippy! For the main focus I used pieces from the Bird Cage Set and my sentiment if from the DreamWord Set. For the twist I added in some13 Arts Mica! Have fun playing along and I cant wait to see what you make!!!!!!!! 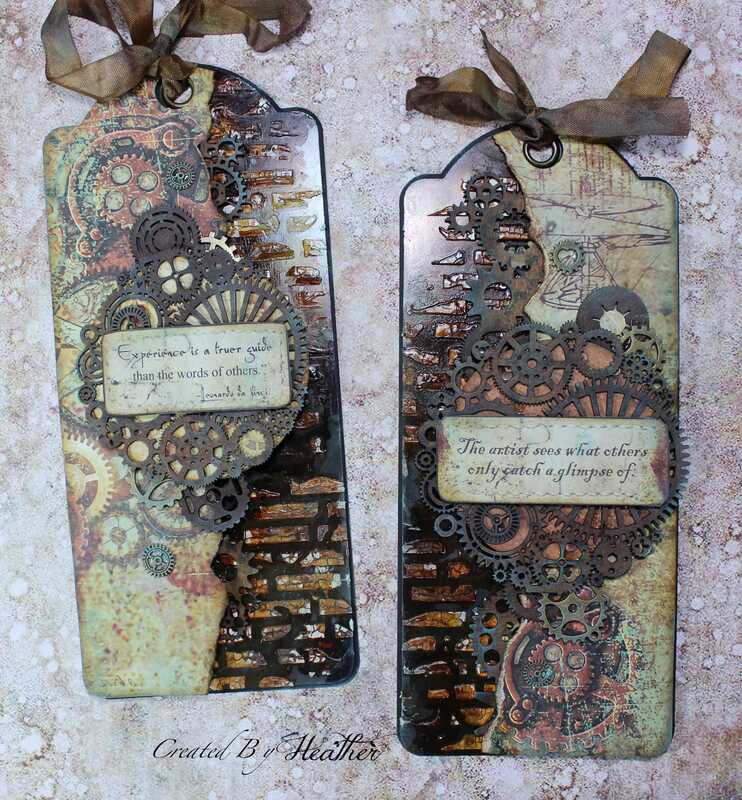 Jennifer Snyder here presenting my cards for the August challenge at Creative Embellishments. I created two cards inspired by elements from the challenge image. The first card uses the ornate “Heart Dangle” chipboard center piece surrounded by the Fancy Oval Frame ,which has been embossed for a shiny effect to resemble the reflections caused by the rain. The second card was inspired by the street lights with colors from the image. The lights are represented using “chipboard gears 1” set over the Creative Embellishments – Lace Border 1 – painted lime green. I also added green gems for the twist – to add a shiny element to the project.